Flume, The Avalanches, Troye Sivan and more have been listed in the ARIA Fine Arts, Artisan, and Best Comedy Release nominees for 2016. The awards precede the full 2016 ARIA Awards nominations and celebrate the best producers, engineers, visual artists and more. The winners for these awards will be crowned at the ARIA Award nominations announcement on 5th October kicking off the ARIA festivities. 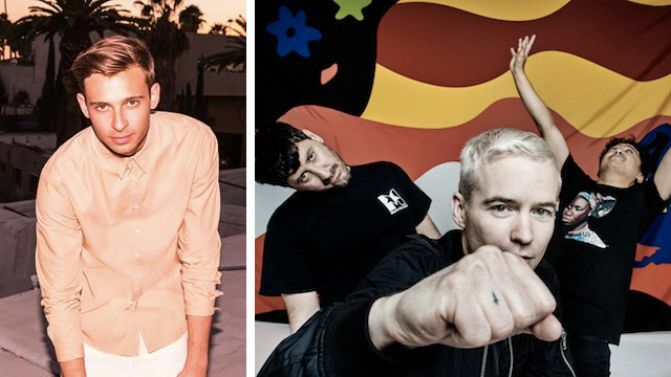 Flume’s Skin and The Avalanches’ Wildflower are leading the charge, nominated across all three artisan categories – Producer Of The Year, Engineer Of The Year and Best Cover Art. Troye Sivan’s Blue Neighbourhood is also proving popular with ARIA, with producer Alex Hope picking up a nomination for Producer Of The Year and Engineer Of The Year. There are plenty of big names picking up nods across all categories. Flight Facilities scored a nomination in the Best Classical Album category for their Live with the Melbourne Symphony Orchestra. Kate Miller-Hedike and triple j‘s Matt And Alex have also scored nominations in the Best Comedy Release category. The full nominations will be announced on 5th October with the winners crowned at the award’s ceremony on 23rd November. It’s already been announced that Crowded House will be inducted into the ARIA Hall Of Fame. See the full nominations below.